The Order of The Red Cross of Constantine is administered by and under Mark Masons Hall. The order in England and Wales consists of 28 Divisions which are like Provinces, each overseen by an Intendant–General. 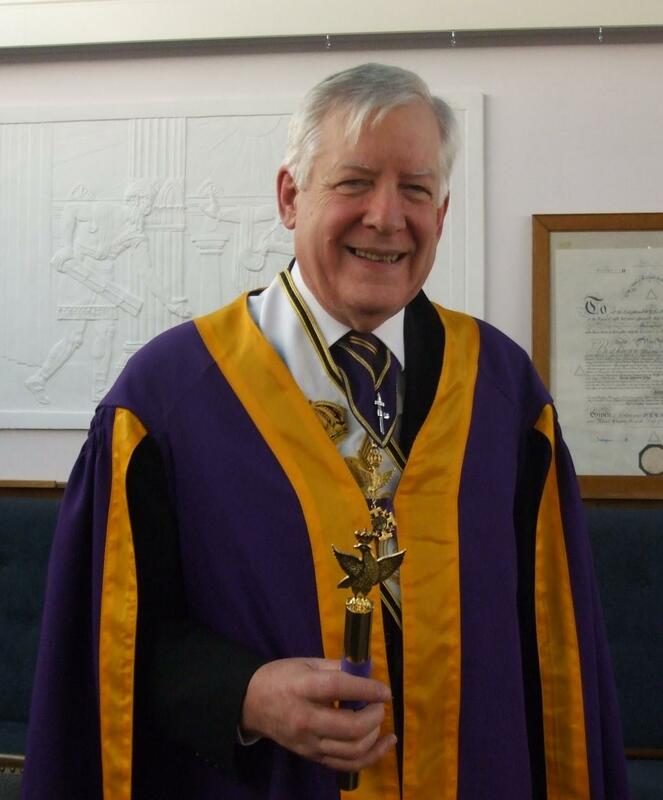 The Order is not only Christian but the other prerequisite for membership is that one must be a Royal Arch Companion, indeed, the order is sometimes known as the Christian Royal Arch degree. Many might feel this is a poor description, although it is certainly true that candidates are admitted wearing their Royal Arch regalia and once admitted are known as Knights-Companion. Obligations are taken in the name of the Trinity in Unity and on the Bible, reinforcing the Christian connection. The West Midlands Division covers six Craft Provinces, there 18 units or Conclaves within the Division. These Conclaves are spread over a large geographical area – from Kidsgrove in the north to Newnham-on-Severn in the south, a distance of something like 120 miles, and from Rugby in the east to Leominster in the west, a distance of approximately 90 miles. Each Conclave normally meets three times a year, one meeting being the installation or Enthronement meeting, where the new Sovereign is installed, and the officers of the Conclave are appointed and invested. The latter two involve further ceremonies and further teachings, but they are always conferred at the same meeting. The two ceremonies are to some extent interwoven, but all the Orders have a separate structure within the Conclave, and all have had a separate history and separate development. Many Masonic historians and thinkers have seen the Order of the Red Cross of Constantine and its associated Orders as not only the Third Great Pillar of Christian Masonry but the climax of Christian Freemasonry. Since it takes its name and ceremonial from the life of Constantine the Great, who convened the Council of Nicaea, by which the Bible was arranged in its present form and from which we derive the Nicene Creed still used in Churches today, 1700 years later, one can see why. Certainly, the ceremonial of the Appendant Orders is the most sublime I have ever met in Freemasonry and probably the most beautiful ceremony I have ever been involved in or witnessed. As a Masonic and Military Order, we support charities including The Royal British Legion Battle Back Centre, which has been developed to rehabilitate injured members of the Armed-Forces. Conclaves are also encouraged to support local charities, particularly those which provided support for children.